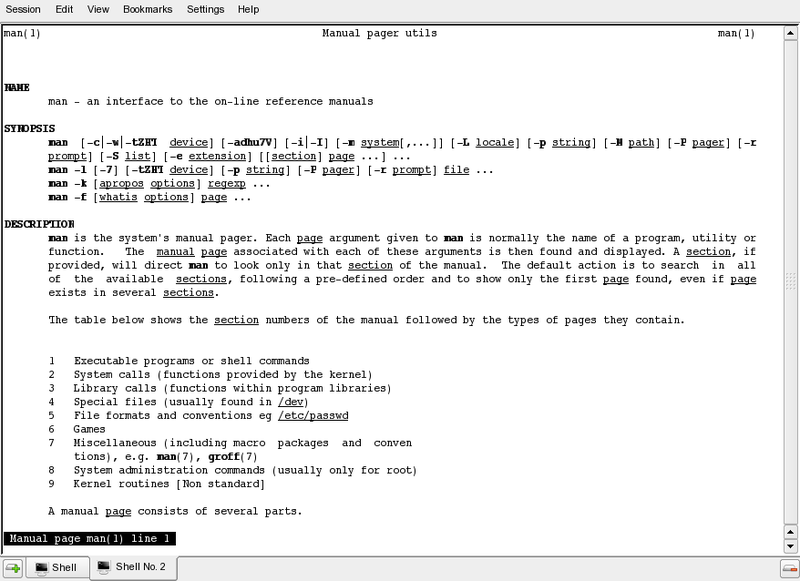 The Manual Pages (man pages) constitute a collection of documentation that is found on any *nix operating system, including Linux. They describe all aspects of Linux, from commands and file formats to programmers references. 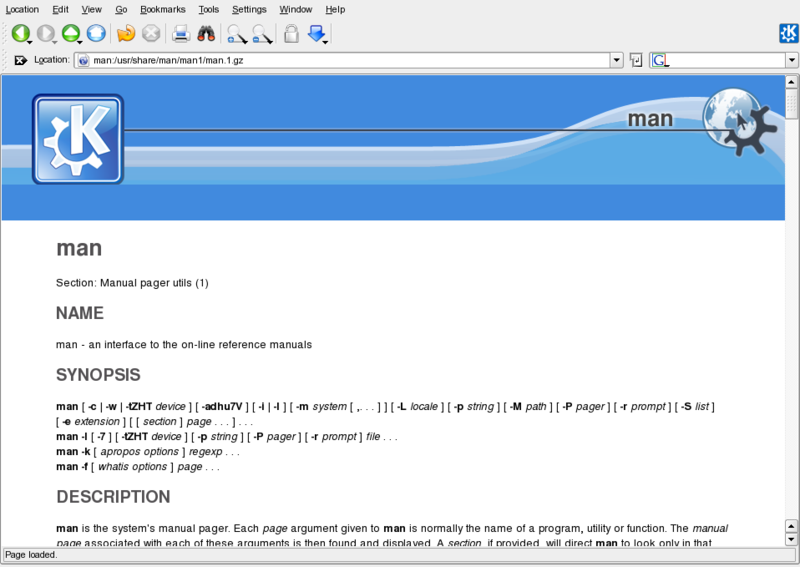 There is few ways to read a manual page (man page). where the most common is to type in command name as <the name_of_file>, but, as you can see from list of sections there is more, like configuration files, C language commands, kernel functions, and so on. will list how to use the command man. and it will list file content, or selection list if few files in different sections have the same name. 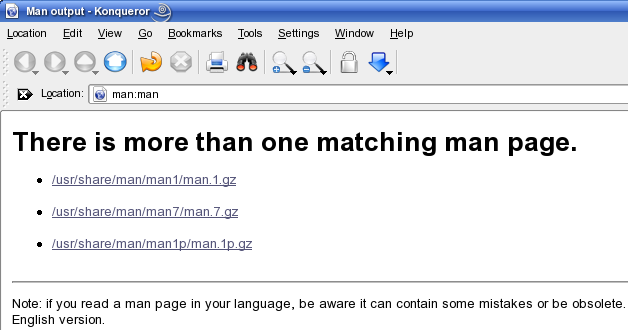 You can use apropos which is a command line tool that searches the man (manual) pages for descriptions that match what you type after it. Linux Documentation for many other ways that deliver important information about your openSUSE Linux system. This page was last modified on 3 May 2013, at 22:13.